It’s time to pit cooler versus cooler, AMD versus Intel, man versus machine… ahem, scrap that last one. We are benchmarking Intel’s stock cooler alongside AMD’s Wraith Stealth, Wraith Spire, and Wraith Prism to see which of these complimentary coolers is the most capable of keeping your CPU sufficiently chilled. AMD now includes a chip chiller free in the box with every single one of its Ryzen 2 desktop processors. Traditionally we’d recommend either buying a cheaper, OEM option, without a cooler, and spending a little extra on a decent third-party chip-chiller, but are the latest stock coolers good enough to make that extra purchase unnecessary? To answer that very question, we’ve dug out one of each of these coolers and put them through their paces to see just how capable they are. Ready to pick sides? Here are the best CPUs from Intel and AMD. We’re throwing Intel’s stock cooler into the mix, which is included with some non-K series Coffee Lake processor chips, to see how its long-standing design fares against the rival red team’s. Also, we will be testing Corsair’s platform agnostic H100i V2 cooler, one of the best all-in-one liquid coolers around, which will aid us when comparing Intel and AMD’s lot. But before you say that’s massively unfair, that’s kind of the point – it’s fun to give stock coolers a kicking. Seeing as we can’t directly compare Intel and AMD coolers due to the differences in socket design and cooler brackets, we instead will be utilising two different processors: the Intel i5 8400, and the AMD Ryzen 5 2600. The Intel Core i5 8400 is a six-core chip, without hyperthreading enabled, that runs at a base clock of 2.8GHz and will boost up to a max turbo of 4GHz. While the AMD Ryzen 5 2600 is similarly a six-core chip, but with simultaneous multithreading enabled for a total of 12 threads. This also runs at the much higher base clock of 3.4GHz, and boosts to a slightly lesser 3.9GHz. Differences aside, both chips run with a TDP of 65W. This means that, while our scores won’t be directly comparable between the two platforms, we will have a somewhat similar gauge of thermal capabilities across all the heatsinks relative to their intended platform. And relative to the platform agnostic H100i V2, too. 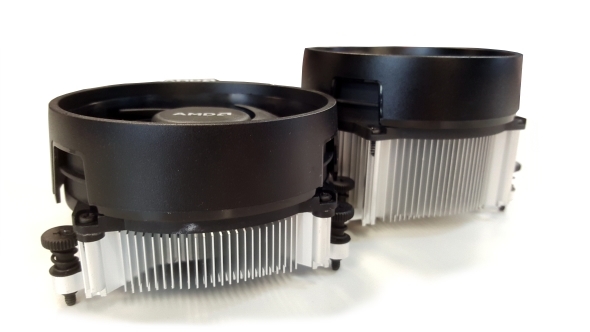 The chip chillers proclivity for cooling will be judged on three temperatures: idle, max during Cinebench R15, and max during x264. The higher idle temps almost across the board for Ryzen seems to be related to a difference in the efficiency and power saving states of between Intel’s 8400 and AMD’s Ryzen 2600. 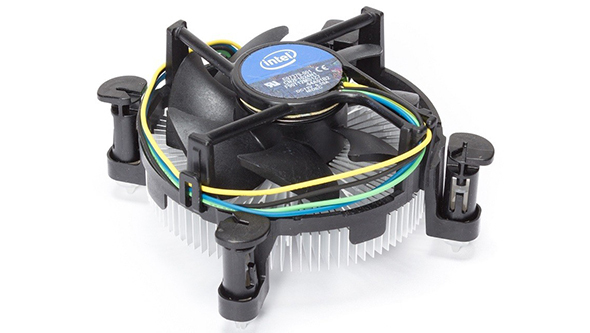 It seems the considerable 600MHz difference in base clock speed between the two CPUs allowed the Intel stock cooler some respite at idle, while the equally meager AMD Wraith Stealth struggled. When it comes to load, however, it’s a pretty fair fight between the Wraith Stealth and Intel stock cooler. That’s to be expected considering both feature similarly lightweight aluminium heatsinks and near-identical fans. If anything, the Intel cooler, perhaps surprisingly, edged the competition here – but both held their ground admirably. When it comes to AMD’s bulkier stock coolers, however, the red team has Intel overwhelmingly beat. The Wraith Spire keeps the Ryzen chip under control exceptionally well, running roughly ten degrees cooler than the H100i. Not bad for a modest air cooler bundled free in the box. But it’s the Wraith Prism, unsurprisingly, that takes the crown. It’s quite astounding that this cooler is actually included in the box with the Ryzen 7 2700X considering how well it performed compared to the Corsair liquid cooler. But is it worth the $40 premium over the Ryzen 7 2700? That’s a tough one. There are plenty of exceptionally capable coolers available for the same $40 premium. 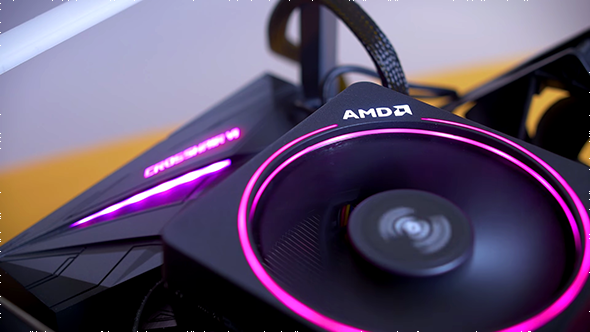 With one of these third-party coolers, and after a little tinkering, you’ll be able to squeeze an extra 200MHz out of the Ryzen 7 2700 to match the 2700X’s speeds – which completely negates most of the benefit of the faster chip. But despite all that, the Prism is still a capable and surprisingly stylish cooler. And it’s our completely unsurprising stock cooler showdown champion. Who would’ve guessed it?